For a little over a year now, I have been singing the praises of this exceptional men's release to all who will listen. Washington Tremlett, founded in Paris in 1870, became the most prominent shirt-making company in Europe and the New World. After opening a store in Saville Row in London, the company enjoyed the exclusive patronage of Kathryn Hepburn, The Onassis family and Sam Goodwyn, amongst many other names of the European elite. With numerous contacts in thespian circles, the company went on to produce costumes for many theatrical productions, including the stage show and film "My Fair Lady". Remarkably though, the firm is best known for inventing the seven-fold tie in 1892, and for coining the phrase "black tie". To this day, Washington Tremlett's bespoke shirts are still created under the Kilroy brand, working out of Saville Row, and the impeccable styling and distinguished nature of this label have now been translated into perfume. Black Tie is a fragrance for men, based around a floral, spicy heart which descends into a base of precious woods. Saffron and rose tread the boards beneath the radiant limelight and take the starring roles in this elegant composition. It is supported by a wonderful chorus-line of floral/herbaceous accords including tuberose, peppery geranium and sage. This exquisite mix maintains the tempo and then comes to a crescendo with its smouldering basenotes of walnut, galbanum, sandalwood and patchouli. Black Tie can be likened in style to Czech & Speake's No.88, though I feel the afore-mentioned seems distinctly more refined and less husky than the latter. Much like a faultlessly tailored shirt, Black Tie is cut to sit very close to the skin... it is the distinguished skin scent of a man with impeccable grooming and refined masculinity. Washington Tremlett have six scents in the range to date: Black Tie, My Fair Lady, Royal Heroes, M.P.H, and the newly launched Iris Absolute, and Neroli Absolute. In ancient Chinese Dynasties, Jade was revered as the imperial gem... favoured by the high-ranking members of the imperial family as an ornamental stone. Varieties of the stone can be found in hues from white, through pink to black, but the highly prized emerald green jade commonly appears in history, used in elaborate ceremonial pieces, and hand-fashioned by skilled artisans into objets d'art. On a school trip to China in the late 80's, I returned home with several jade souvenirs... mostly trinkets really, but it is the very nature of the stone that seems to embody the country's vast history. In a bygone era, when nomads travelled the Silk Road, it was considered more valuable than gold. It is little wonder then, that jeweller/perfumer Olivier Durbano has chosen this esteemed cabochon for inclusion in his seven "stone poems". This being said, when Jade is first applied, I do not immediately garner a sense of noble opulence as perhaps I had expected. Instead, I get a strong sense of the China that might have existed in the early 1900's - when her glory days were over, and she was a country controlled by many European nations. After several wars, and with control over most of her lucrative sea-ports lost to the Europeans, this invited foreign trade and residence. China was influenced by external powers, and the wishes of the Chinese themselves often ignored. This cohabitation meant a swing in Chinese culture was at hand, much to the resentment of the Chinese. So, how is this translated into perfume? I hear you ask... well, Jade is a clever marriage between European convention and Far Eastern tradition. As one might well imagine, judging the vivid green colour of the juice; opening notes are initially rather medicinal... a sharp stab of lush wet mint, followed by the biting aroma of bitter green tea leaves. Whilst these accords share a starring role and have remarkable tenacity, one can also distinguish a scattering of star anise and a curl of aromatic cassia. The experience is rather like a visit to a traditional Chinese herbalist whose walls are lined with antique wooden apothecary drawers; the contents of which are collected and bundled together in rice-paper packages, and carefully tied with string. One can also identify some delicate florals and dusty iris germinating at the heart, though these are as fine as Chinese silk and transparent as hand-made paper lanterns. 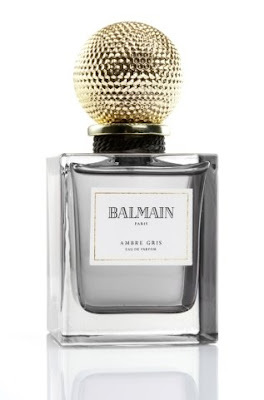 They merely cast light on the understated vetiver/patchouli base that lies at the floor of the perfume, and whose accords soar and fall sharply like rugged Chinese mountains. People familiar with Durbano's previous offerings might wonder if he has captured the spirit of jade (the stone) with the same measure of excellence as he has with his other stone poems. His approach to this scent marks a shift in style: for starters, the resinous frankincense/incense accords which were at the heart of all 3 previous perfumes (ones that I felt lend the earthy/mineralic qualities to his work); are now absent. This being said, I don't feel this diminishes his interpretation of jade. After all, the Chinese use jade less in its raw mineral form, and more as a polished and finished piece. If one could experience the taste of a smooth green jade cabochon, it would taste just like this perfume smells. There are nuances of the Far East, and shades of traditional European perfumery that make Jade an enchanting scent with a wonderful vintage twist. 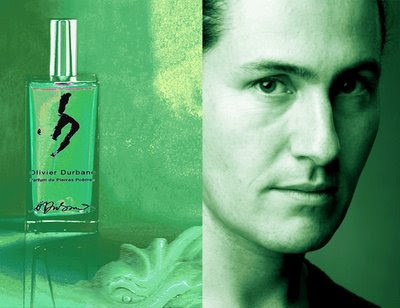 Jade is currently available at luckyscent.com, and will be soon shipping from other exclusive Durbano stockists.